EDIT: This post was updated Wednesday 12/30/2015 to add a step to reflection. This post is the first of a two-part series that kicks off a new section of my blog called Intention. A core part of this blog and my journey is this notion that I can live my life with intention rather that on auto-pilot. To do that, there’s a lot of active reflection that goes into it – so this is a more personal and philosophical post, but very much the CORE of why I plan. I believe that planning helps me carve out time to do the things that will make my life how I want it to be. A key component of that is to consistently reflect on how my day to day life aligns with what I want it to be – that way I can identify the gaps and strive for improvement. As you wrap up 2015, it’s a perfect time to do just that. Whether you experienced the joy of triumph or are ready to kick 2015 out the door, it’s important to think about how this year went for you in order to identify what your intentions are for 2016. First, it would be remiss to ignore the highlights of the year. Think about the things that stand out – these do NOT have to be big, momentous, life-changing things. Perhaps you grew a lot from a realization, or you made a better, harder choice, or you overcame a challenge. Write these down. BUT do not stop there. Try to identify WHY these were important. What did you learn from them? What was hard about it? How did you grow? So that’s the start. Let’s go further. 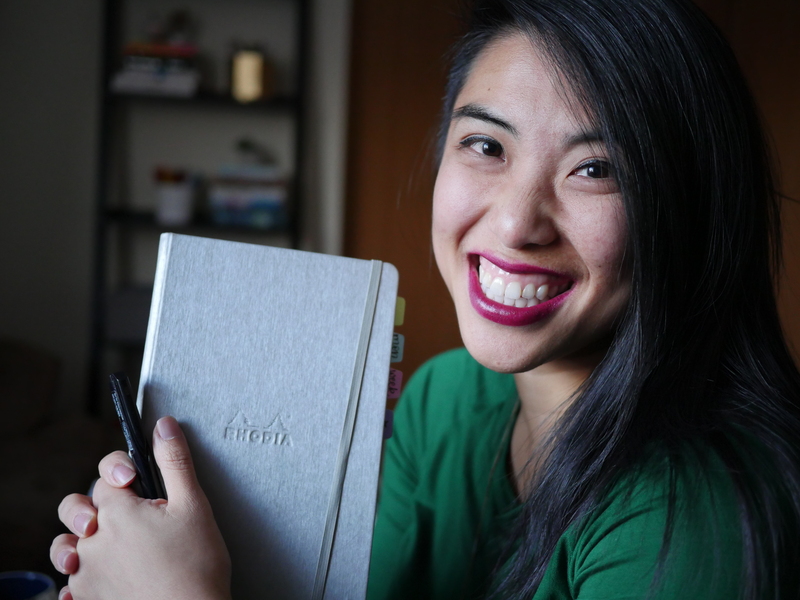 Knowing that there are TONS of resources out there about journaling and reflecting, I am skipping the starting points of “10 highs, 10 lows” and featuring a few of my own questions that guide my personal reflections – perhaps they will help you too. What were the moments where I forgot about time? What was I doing? When we’re truly present and engaged, time doesn’t seem to exist. For me, I am most present when I am teaching, in an awesome one-to-one with a student, or performing – that is when I can soak in the present moment at its fullest, where I feel so alive! Find ways to add more of them next year. What were the moments I am proud of the way I “showed up”? There are moments where I made choices to be the best version of myself – it’s when I put People before Tasks, or when I actively reign in my stress so I can be supportive and positive instead of negative and frazzled, or when I chose to do the ethical, right thing versus the tempting, easy thing. These are moments that reveal who we are – it’s worth celebrating so you can do it more often in 2016. What are your moments? What were the moments where I am NOT proud of the way I “showed up”? In other moments, I act out of convenience, laziness, or simply because it was easy. Other times, I chose to keep quiet or not act. For example, I know that my cousin is struggling with depression. When he made a passing comment about it, I actively chose not to address it. Because it wasn’t “time to get into it,” or “it’s a busy right now.” That is NOT how I want to be in the world. That is not a shortcut I want to take. Knowing and admitting this helps me be better next time. What shortcuts are you taking? If I’m honest, where did most of my time and money go? People say that if you want to see where value is, follow money and time. If I claim to be about relationships, can I see that reflected in how I live day to day? Did I spend more time planning than doing? More time doing than being? If I’m honest, I cringe at how much time went to mindlessly checking Instagram, Facebook, email – instead of things I claim to care about, like the people around me, eating better, exercise. I’d like to calibrate my time to better align with my values. How did your time and money align with your values? What fear, barrier, false boundary is holding me back? Like many, I avoid taking risks because I fear looking dumb or not succeeding. This limits me creatively and especially as a teacher and curriculum writer. I also experience a lot of self-doubt. I have come up with 189,734,927 reasons (logical and irrational) NOT to have this blog. But I did it anyway. And it’s going okay so far. I need to remind myself that risk is NOT as doomsday-like as I imagine in my head. Risk can be anywhere from writing in pen right away on your journal, to attending an event alone, deciding to job search, trying a new strategy at work – anything that you resist at first because of a “what if.” I also do things based on a Fear of Missing Out (aka FOMO). The urge to keep up on social media, specifically. Remembering that my world goes on just FINE despite all of these things is something I am working on, constantly. Changing this behavior is HARD. The comfort zone is not a bad place – indeed, we are rewarded in several ways to stay the course. We are rewarded by the chimes of our notifications, feeling “in the loop,” feeling safe because we aren’t publicly “messing up.” These are things I’d have to give up in order to change. So, after all of this, what do I want to stop doing in 2016? What do I want to start doing? Keep doing? I have a whole list, but here are a few. I want to start going to bed at 11 so I can have energy for my endeavors. I want to stop checking email constantly. I want keep reviewing and reflecting on my week. I want to stop multi-tasking so I can get more done. I want to start being intentional about all my purchases so I can more easily afford vacations and other life-giving experiences. What about you? Next, how do you turn these reflections into resolutions? Do you have other questions that guide your reflection? I’d love to hear about them! I am such a pen dork. I am wanting to know the type of pens are in the photo. Great! Thank you. I did read the post by the way. It will help me throughout the year. Recently started following the blog (in the last week) for the lettering aspect and I thought it could be the pens that I read about earlier. I have them on my want list. I hope so! I’ve just started adding lettering into my blog officially – let me know if there are specific things you’d like me to cover about lettering and I’d be happy to write about it! Happy that it might be useful 🙂 It’s the same feeling I get when I get new students! Time to rethink and reframe. Hey, I recently started to follow your blog & thanks for this wonderful post, I really enjoyed reading it and it has given me some food for thought. I will most certainly put a few pages aside in my journal to answer the questions you have raised. Happy that you’re enjoying it so far Shelley! These questions are quite interesting and different than many of the year-end reflection questions I’ve read recently. Thank you for sharing them. One question that has popped up in the reading that I’ve done recently is “does this make me happy?” Or similar questions about events or activities… “Is this helping me be a happier person?” It’s interesting to think about, even with simple day to day activities… If it isn’t making me happier, then what is its purpose? Should I cut it out? This is a great article that really has me thinking about what happened in 2015 and what I want to happen in 2016. I will be hitting down some ideas in one of my journals that I’ve been “saving”. LOL! I can’t wait to check back in to see what’s next. Just the questions I needed as I begin planning for a year of intention rather than habit. Thank you. I, too, am I big victim of FOMO!! I’ve spent way too much time checking in social media, wasting time on games, etc. 2016 will be the year of showing up for important tasks/events . . . not simply checking in on Facebook because I don’t want to miss anything!